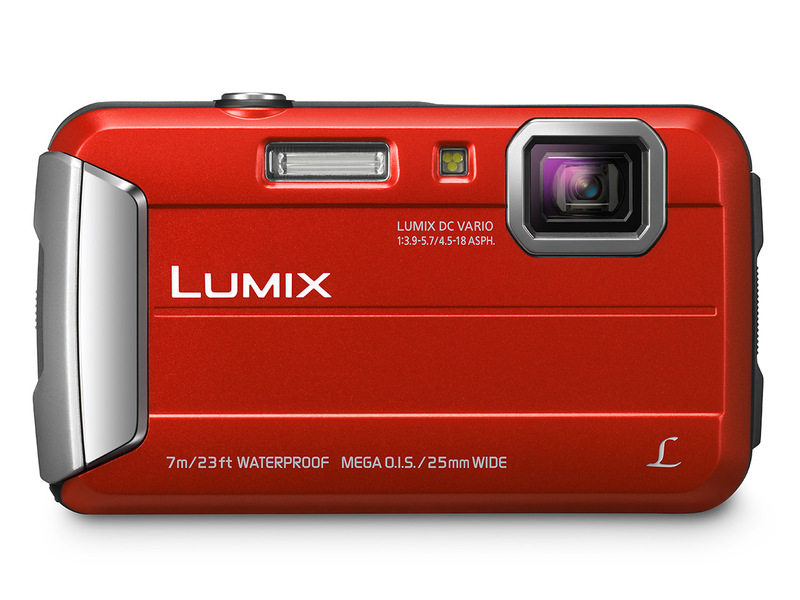 Las Vegas, NV (January 7, 2013) – Panasonic’s new compact LUMIX DMC-TS5, its toughest photo and video compact camera to date, is built for those seeking adventure and demanding the ability to document unbelievable moments anytime, anywhere. With impressive image quality and an outstanding range of features packed into a neat, durable, yet fun design, the TS5 is the perfect companion for capturing those breathtaking instances, whether underwater, atop a mountain or in the desert. The LUMIX TS5 is the ultimate hardy camera, ensuring that no matter where you find yourself, such as diving with sea life, hanging from a rock face or exploring the winding alleys of a foreign market, you will be able to take the best shot possible without having to worry about whether or not your camera is able to withstand the conditions. Waterproof to a depth of 39 feet, shockproof from a height of 6.5 feet, freeze proof from a temperature of 14 degrees Fahrenheit and pressure resistant to 220 lbs, the LUMIX TS5 really is the tough-man of the compact camera market. The LUMIX TS5 enables full HD, 1920×1080 movie recording in AVCHD format and allows exceptional audio capture with Dolby Digital Creator. For those times when operating the camera with two hands may be difficult a dedicated button makes it possible to let you instantly start recording movies without having to choose any extra settings. Furthermore, the iA Mode is available in movie recording and the POWER O.I.S. with Active Mode comes in handy when shooting while on the move or from challenging places, countering handshake and vibrations. A LEICA DC-VARIO ELMAR lens (28mm wide with a 4.6 x zoom), Full HD video,1920×1080 (60p) and a 3.0 inch LCD all combine to ensure that the TS5 punches well above its weight. Additionally a 16.1 megapixel high sensitivity sensor, new Venus engine, time lapse recording and 10 frames per second burst shooting, means this camera is not only tough, its intelligent. The TS5 is packed full of features ready to help you capture any moment that you encounter. The LUMIX TS5 boasts one-touch easy connection to Wi-Fi with NFC, allowing for remote picture capture, via the LUMIX remote app, and quick and easy upload. You will be able to take photos from more remote places: simply download the LUMIX remote app to a mobile device and use it as your viewfinder to take incredible photographs while the TS5 is nestled in a tough-to-shoot location such as hanging down in between a crevice or the back of a boat. Furthermore, you can tag the location of the photo using the built-in GPS functionality. Other benefits from the Wi-Fi connectivity include 1GB cloud storage, upload and back-up, as well as connectivity to your TV for viewing on the big screen and easy transfer for printing by wireless printers. The TS5 will be in available in the stores and online at the end of March in orange, blue, silver and black. The TS25 is waterproof to a depth of 23 feet, shockproof from a height of 4.9 feet and freeze proof down to a temperature of 14 degrees Fahrenheit. The TS25 will be in available in the stores and online at the end of March in blue, black, white and red.